In 2003, members of the Missouri state legislature voted to form the Missouri Sportsmen’s Caucus, modeled after the Congressional Sportsmen’s Foundation. Immediately, 111 lawmakers joined as charter members under the leadership of then Chairman, Senator Chuck Gross. The Missouri Sportsmen’s Caucus was one of the 21 original state legislative sportsmen’s caucuses that united to form the National Assembly of Sportsmen’s Caucuses (NASC) in December of 2004. 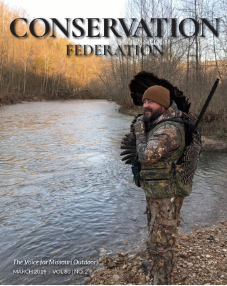 After functioning independently within their own state legislature, Missouri policymakers joined a common network to interact with legislative sportsmen’s caucuses across the nation. Please click this link for more information on NASC: Missouri Legislative Sportsmen’s Caucus Website.